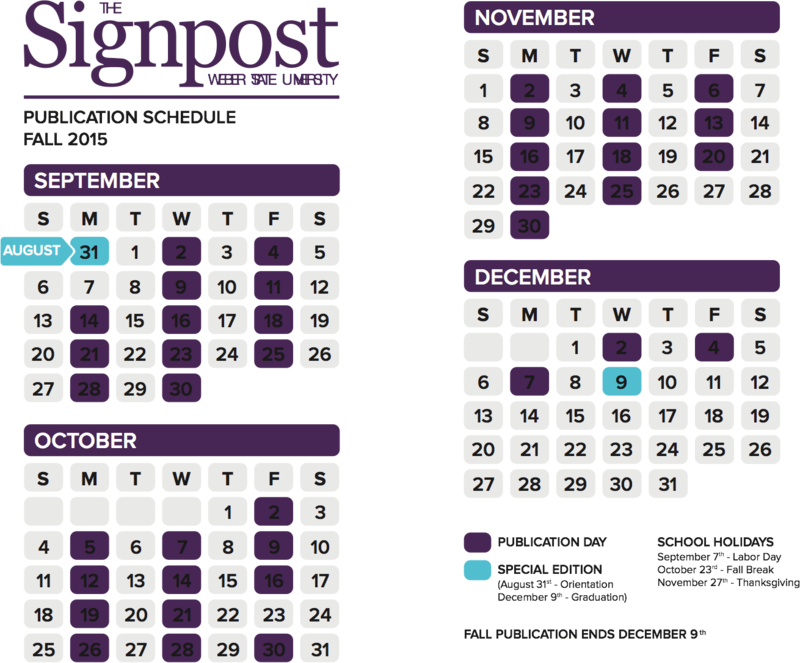 The month of March brings out madness like none other in college basketball. This was the case for the Weber State University teams, who participated in the Big Sky Tournament in Boise, Idaho last week. The tournament was held at CenturyLink arena after taking place in Reno, Nevada the last three seasons. 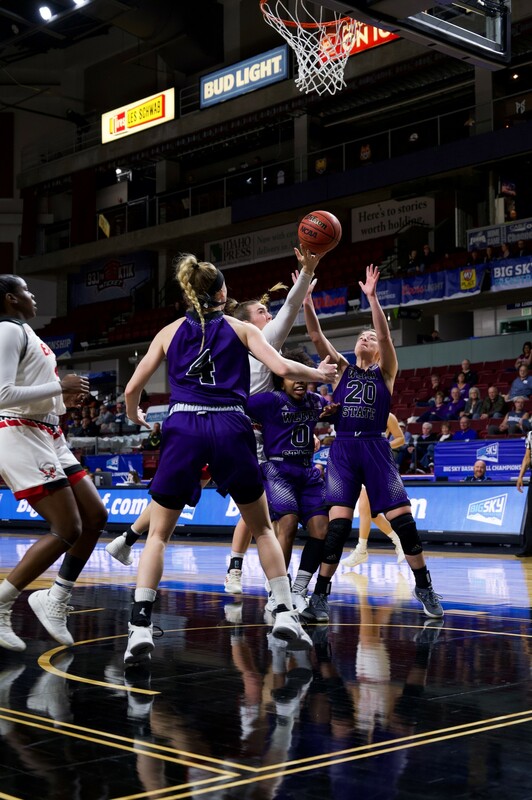 When the dust settled, the women lost in the quarterfinals and the men were defeated by the Montana Grizzlies in the semifinals after a first-round win over Portland State. On March 11, the women’s team experienced a problem that plagued them throughout the regular season. The Wildcats were competitive in a majority of their games, but one poor quarter usually doomed them on the way to a last-place finish. WSU led Eastern Washington after three quarters, but a hot-shooting Eagles team came out in the fourth quarter and blew the doors off. 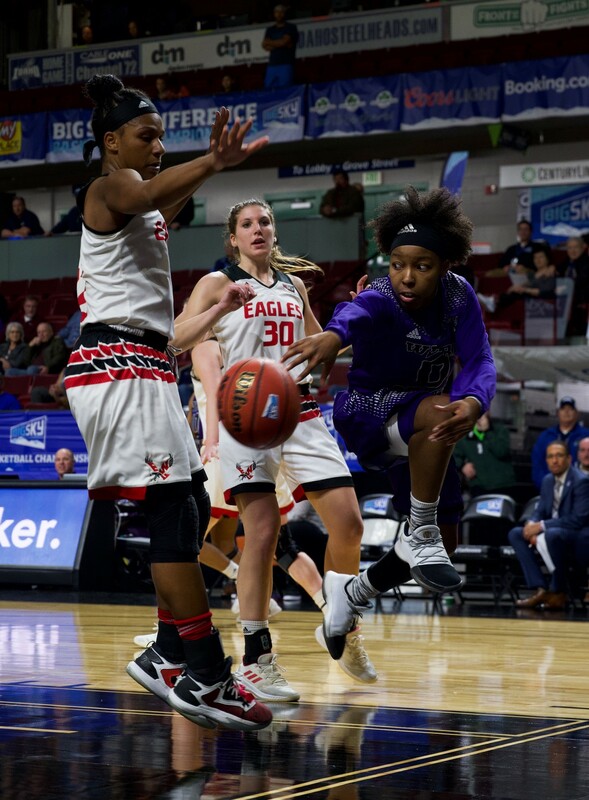 EWU made five three-pointers in the final ten minutes while scoring 33 points to defeat the ‘Cats 81–74 and end Weber’s season. It was the last game for seniors Emily Drake and Jaiamoni Welch-Coleman in Wildcat uniforms. The guards did their part to keep WSU in it, as Welch-Coleman finished with 27 points and Drake scored 16. The ‘Cats went on a 10–1 run in the early stages of the third quarter, keyed by two three pointers by freshman guard Kori Pentzer. The native of Melba, Idaho, just 40 minutes away from Boise, helped give her team a seven-point lead. WSU kept the momentum for the rest of the quarter and led 54–48 with 10 minutes remaining. With the loss, Weber State finishes the 2018-19 season with a record of 6–25. Three days later, the fourth seeded Wildcat men’s team took the floor against the fifth seeded Portland State Vikings looking to shake off a rough stretch that saw them lost eight of 11 contests to close the regular season. WSU was able to survive and advance, defeating PSU by a final score of 81–71. Junior guard Jerrick Harding led the way with 23 points. Senior and sophomore forwards Brekkott Chapman and Michal Kozak combined for 18 boards against the nation’s top offensive rebounding team. It was a physical contest, with the teams combining for 51 fouls and 57 free throw attempts. A back and forth first half saw the game tied at 34, then WSU took control after the break. The Wildcats went on a 22–4 run in the first nine minutes of the second half to take a game-high 18 point lead. 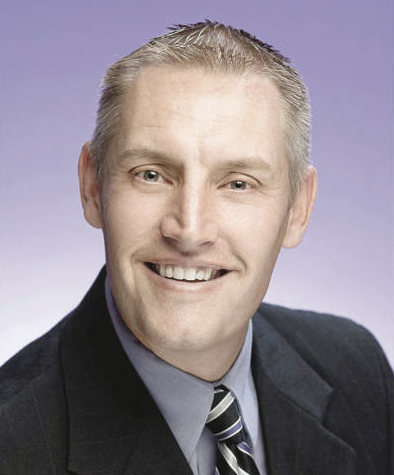 John keyed the spurt with nine points and finished with 17 overall. Another highlight was a dish from Chapman to senior center Zach Braxton, who threw down a two hand slam and drew a foul to for a three point play. 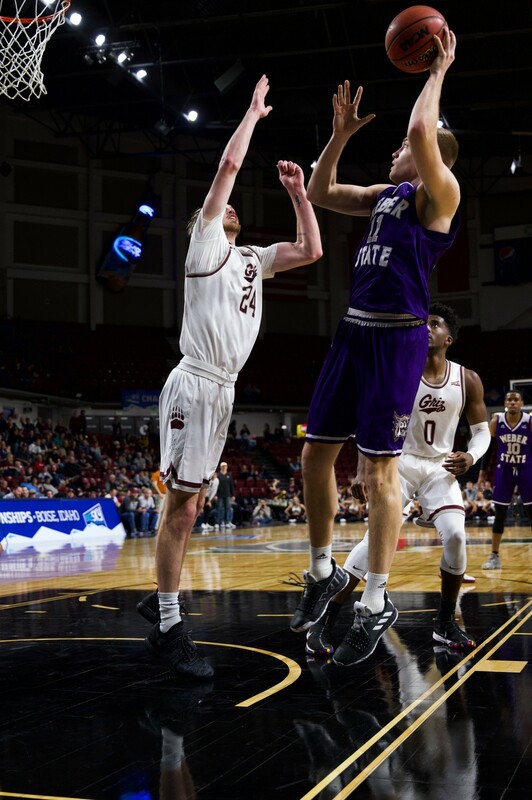 Despite Portland State’s aggressive style, WSU continued to press on the gas, taking down the Vikings for the seventh time against no defeats in the Big Sky Tournament by a final 81–71. After being swept in the regular-season series against Montana, the Wildcats looked to pull off a postseason upset but were overmatched from the opening tip. 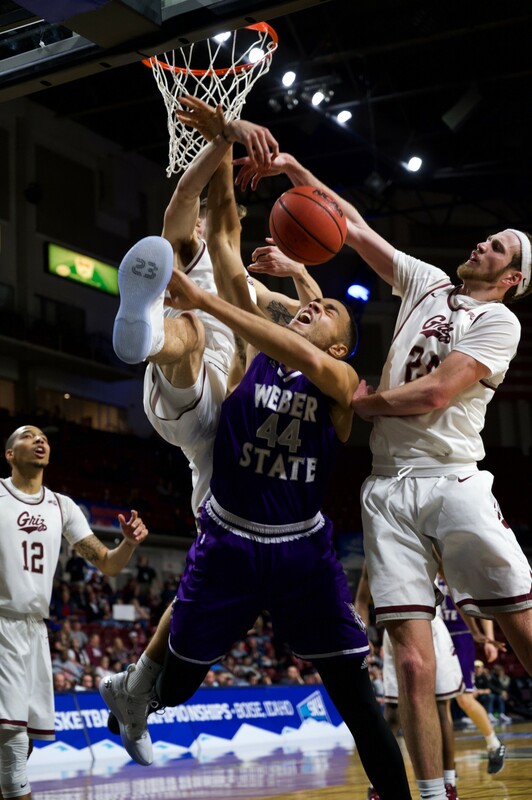 The Grizzlies showed why they were the number one team in conference with a decisive 78–49 win in the semifinals to send Weber State packing back to Ogden. The Wildcats twice nearly rallied from 20 point first-half deficits against Montana in the regular season, but the Griz wanted no part of that on this night. 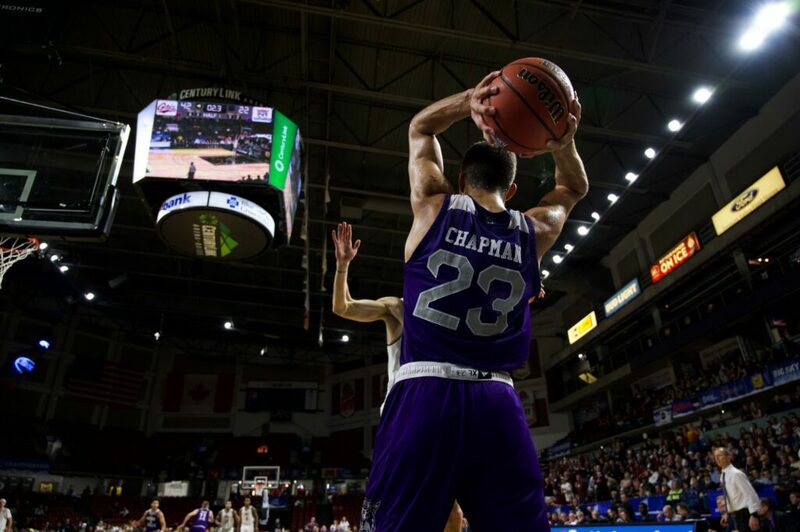 With three minutes to go in the half, Rahe took out Chapman and Braxton as both players walked off to a standing ovation from the Weber State faithful in their final games in Wildcat uniforms. Weber State fell 78–49 to drop their season record to 18–15. They declined a bid to a postseason invitational tournament, ending their 2018-19 campaign.